Each year countless parents and church leaders approach me about their own perspectives on Halloween from both ends of the spectrum. You have your antagonists and you have your apologists. One thing my wife and I agreed upon years ago was that we would do things a bit differently in our family. Not just around a single day of the year, but in general, we knew we would be a family that was quite comfortable being counter-cultural (when we felt it necessary to do so). Last night our church family hosted our 2nd annual Family Night of Service. 2. St. Anianus Organizing Team: Your hard work of organizing the Operation Christmas Child Service last night did not go unnoticed. Your efforts allowed for over 60 people (volunteers and donors) to be blessed by doing the work of the saints. 3. Volunteers: May God bless each of the volunteers who came out last night to spend their Halloween sharing in this great service. Your labor of love was truly reflected as you participated in doing the work of the saints! 4. Donors: Your generosity, donations and financial gifts will help put a smile on the face of the children, who are looking forward to receiving their Christmas gifts in just a few, short weeks. 5. Samaritan’s Purse: The work of your organization in bringing the love of Jesus to young children – all throughout the world – with a goal of bringing the gospel to those you serve, make the work of Samaritan’s Purse a blessing to countless children. 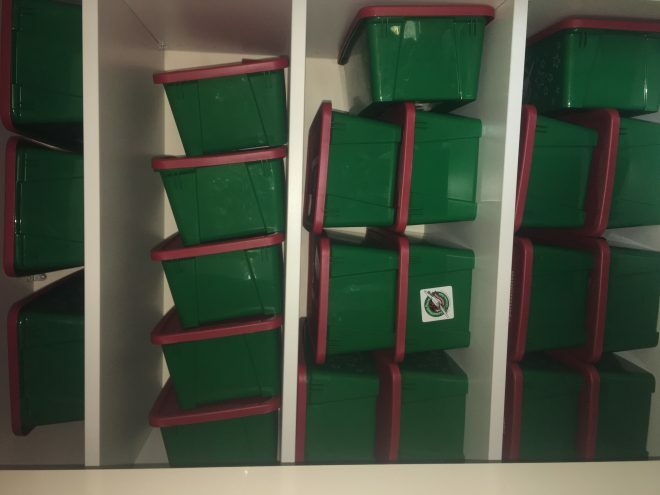 Please keep on praying for the nearly 100 children who will be receiving their gifts, that this small offering would be a reminder of God’s great Christmas gift to the world, that the Father sent His Son to be our gift. Looking for Alternatives: A great number of people (singles, married folks, and families) are simply looking for an alternative to the traditional manner of celebrating Halloween. God Shines Brighter in our Midst: When the saints of God get together to light a candle, His Light shines brightly from their midst.